Indian Chicken Curry. Love on a plate. Easy 30-minute meal. 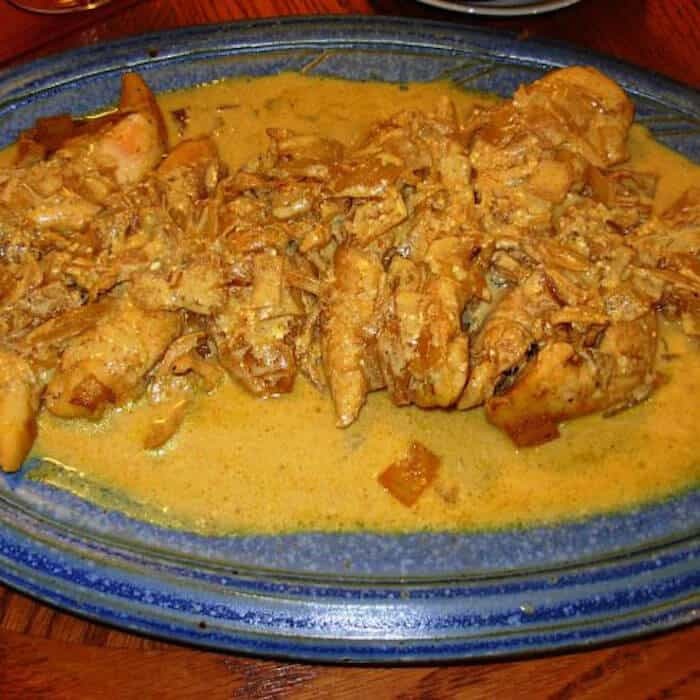 Indian Chicken Curry. Love, love, love this recipe. Hi. It’s Lois in the kitchen, talking about my 30-minute Indian Chicken Curry. This is a simple Indian curry recipe, originally found in one of my all-time favorite cookbooks, Betty Crocker’s International Cookbook. I’ve never had a bad meal when I used a Betty Crocker recipe. I highly recommend it! 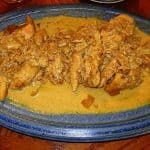 My version of Chicken Curry is much simpler than the original recipe. Instead of starting with a whole chicken as the original recipe specifies, I used chicken tenders. It’s quicker and just as delicious. Most Indian recipes call for several spices, but this one only has curry, ginger, cumin and salt and pepper. And it has such a WOW flavor. 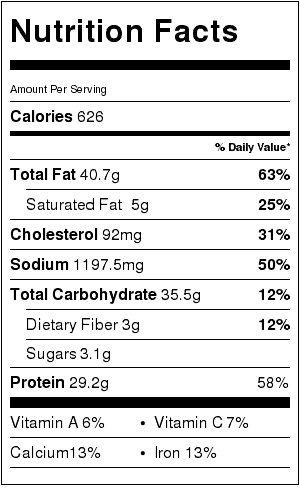 Simply Organic Curry Powder | Certified Organic | 3.00 oz. Buy it on Amazon. Le Creuset Signature Round Dutch Oven LS2501-2678, 5.5 qt, Indigo. Buy the best you can afford. Available on Amazon. I love, love, love this recipe. I think you will, too. So scrumptious. 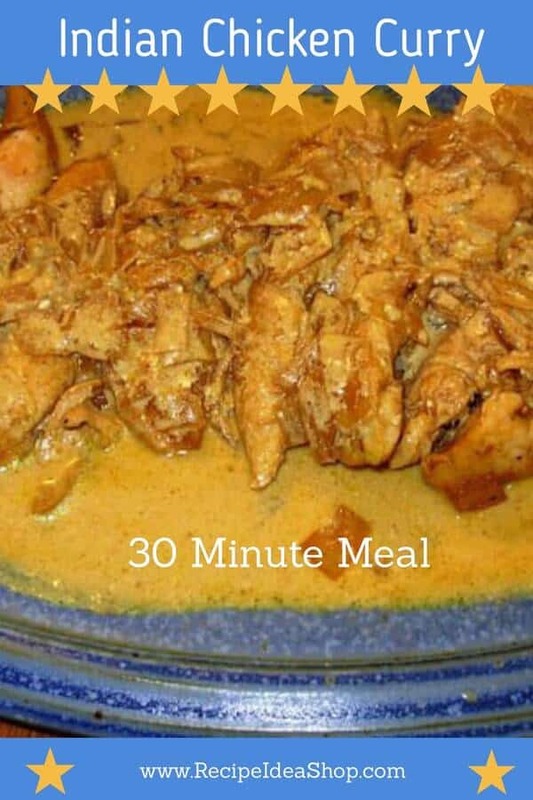 Quick and delicious Chicken Curry. Serve over rice. Heat the oil over medium heat in a Dutch oven and add the chicken. Brown the chicken on both sides, about 10 minutes. Transfer the chicken to a warm platter and keep warm. Add the spices and onions to the Dutch oven and cook for about 2-3 minutes. Stir to combine and reduce the broth slightly. Add the sour cream and whisk until the sauce is smooth. Pour over the warm chicken and serve with Green Tomato Chutney and rice. Note: Many of the links included throughout Recipe Idea Shop are affiliate links, which means if you follow them and you buy something, we will get a small commission. It doesn’t cost you a penny more, and you can still use your Amazon Prime account to buy. Don and I love our Amazon Prime account. This posting includes affiliate links.